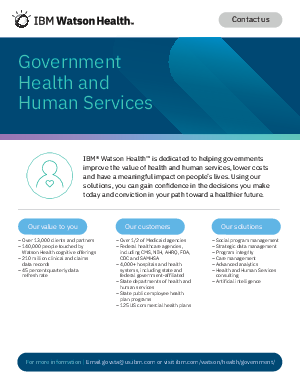 This two-page brief summarizes how data analytics have helped improve the value of health and human services, driven better decision-making and lowered costs. Results include multi-million-dollar savings by maximizing enrollment, as well as reversing fraudulent and wasteful claims. Data also shows the impact of social program management, such as increased detection of abuse and neglect cases.